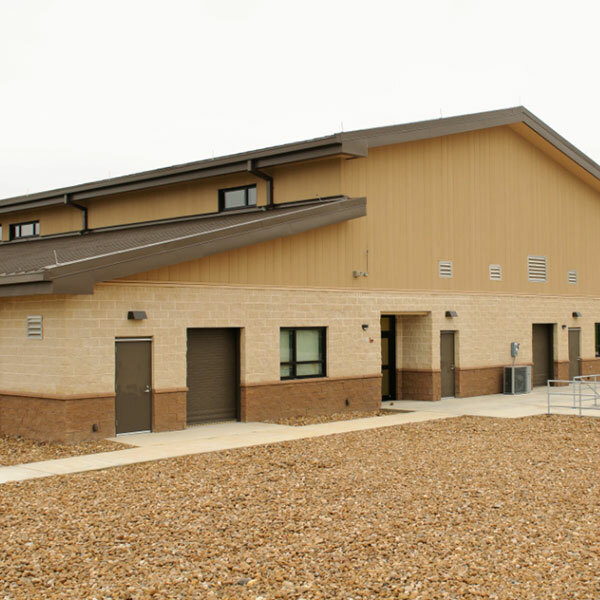 The project is a one-story steel and masonry training facility designed to support three reserve units with approximately 274 people. The scope of work included an assembly/drill hall, classrooms, mil spec scullery with separate serving and dish drop off lines complete with OMAR/BOMAR items, mail room with postal box, offices, group work areas with modular furniture, break room, SIPRNET Café, complete physical fitness room adjoined by men and women’s locker rooms. 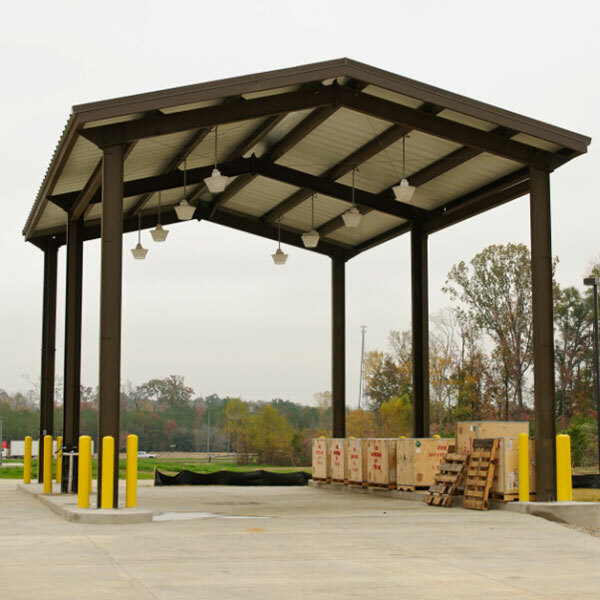 The project has included three storage rooms with complete tamper proof cages, two concrete vaults with class 5A vault doors, vehicle maintenance and training bay, wash rack building with steam cleaner, weapon simulator room, 45,000 sf military equipment parking area complete with deterrent fencing and two slide gates, crash rated automatic barrier arm, loading ramps, loading dock and a controlled waste facility on a site with an area of 19.9 acres. The site designated by the United States Corps of Engineers for the construction of the Armed Forces Reserve Center is unique in that it’s an EPA Certified Wetland with an on-site stream running through the center of the property and a 4’-5’ water table. As a result, preparing the site and structural foundations for the building and pavement sections proved to be distinctly challenging and upon completion of all site activities approximately 132,000 CY of onsite soil had to be excavated and hauled off to accommodate the design and approved site drainage alterations across the 46,550 sf building pad and 103,000 sf of pavement. To overcome any environmental offenses, and ensure full compliance with the State, while upholding the principles of Green Building design, Journeyman filed and received a 404 Permit for the purchase of Functional Capacity Units (FCU’s) from a land bank for the jurisdictional wetlands and to offset the use of this site for construction. The facility complies with the Anti-terrorism/Force Protection (AT/FP) requirements for all primary gathering and inhabited building areas. The building is fire-proofed, 100% welded, with frame supports installed for all windows and doors. 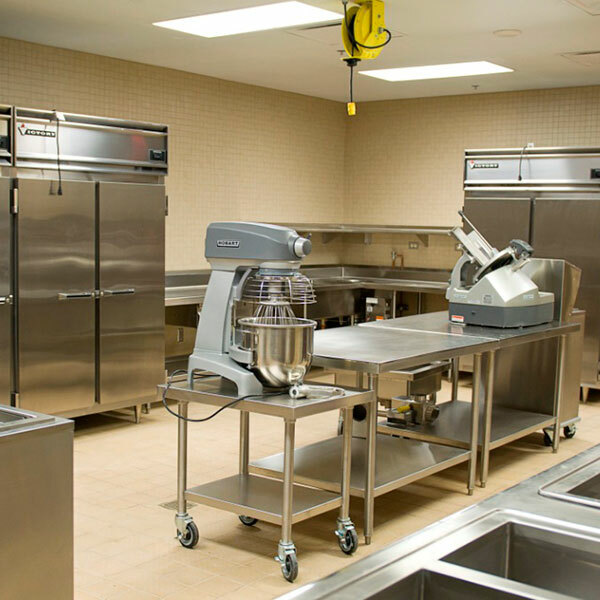 An intrusion detection system, interior fire alarm, and mass notification system were included and integrated to offer wide range announcement to all personnel within the facility. 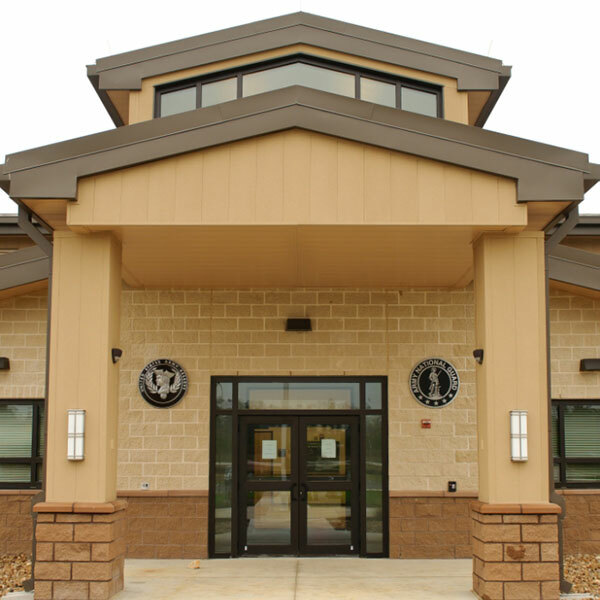 This project qualifies for LEED-NC v2.2, built to Silver Standards, however, USACE chose not to pursue certification.